For growing cattle on pasture or dry lot. dihydroiodide, Vitamin E supplement, D-activated animal sterol (source of vitamin D-3), Cobalt carbonate, and Sodium selinite. Dihydroiodide, Cobalt Carbonate and Sodium Selenite. 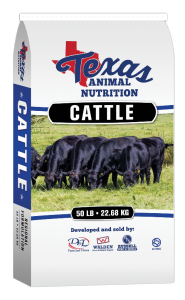 Feed at a rate of 2.0 to 6.0 pounds per head per day. Provide adequate roughage and fresh, clean water at all times.